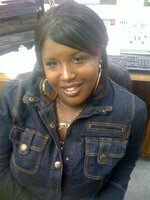 It’s Diamond “the First Lady” in Ya Ear Monday Thru Saturday’s From 2 Til 6P!!!! I Am a Starkville, MS Native and I’ve Been in the Game Since 2003!!!! I Am a Mother of Adorable Twin Boyz….. Justin and Jordan!! I Would Love to Thank All My Supporters for There’s No Me W/o You!!! Muah!!!!!! !Check out my face-book page here!!!!! !